The 'White Helmets' is a NATO corporate construction on the official budgets and upheld by Hollywood, Nexflix etc. Primary function to legitimize so-called 'moderate rebels' in Syria. But there are no 'moderate rebels' in Syria, so they provide the illusion of real moderate rebels, which is a cover up for Al Nusra, Al Qaeda, ISIS etc. 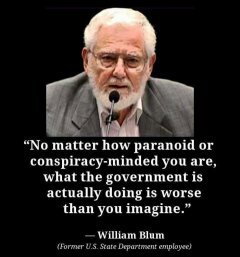 "The US government trained, armed, funded and supported Osama bin Laden and his followers in Afghanistan during the cold war. 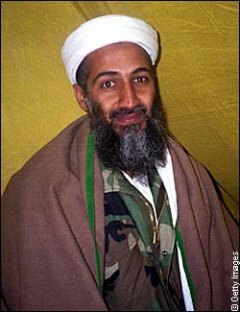 With a huge investment of $3,000,000,000 (three billion US dollars), the CIA effectively created and nurtured bin Laden's al-Qaeda terrorist network()." ".. my contention here is that the US crimes [since 1945] have only been superficially recorded, let alone documented, let alone acknowledged, let alone recognised as crimes at all. I believe this must be addressed and that the truth has considerable bearing on where the world stands now. 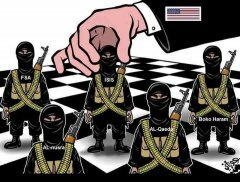 "We know that al-Qaeda emerged because Western powers--in particular the United States--funded and trained radical Islamic groups in order to use them for their own purposes. This book shows that this is not an isolated incident. Journalist Brendan O'Neill argues that it's part of a worldwide strategy, the results of which can now be seen from Afghanistan to Kosovo, Beslan and beyond. All over the world, so-called "humanitarian" interventions, while dressed up in terms of human rights, have weakened states, creating vacuums that encourage the movement of groups across borders--allowing terrorists like al-Qaeda to thrive. O'Neill makes links across all major conflicts of the late twentieth century, concentrating his analysis on the "humanitarian" interventions of the 1990s, in particular Bosnia and Kosovo. He shows how--the war having been won in Afghanistan--the United States and Britain helped arm and move thousands of Mujahideen fighters from Central Asia into the former Yugoslavia where they played a key role in the resistance of the Bosnian Muslims. 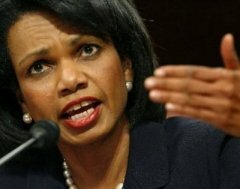 Their continuing presence in the region now undermines efforts to stabilize Kosovo and turn Bosnia into a viable state. - O'Neill's distinctive analysis will be of interest to all students of international studies, and anyone who wants to know more about the destabilising effect of recent western interventions and the rise of global terrorism." Amazone Description of From Bosnia to Beslan: How the West Spread Al-Qaeda, by Brendan O'Neilll, 2010, Pluto Press This book is sold out. CIA probably bought all of them. Flash-Back: Beginning 70'ties - 1979 & 1980'ties: President Carter funds Mujahideen in Afghanistan. Shortly after Reagan & Thatcher publicly support the Mujahideen. Later US re-brands and distances itself from link to (now) 'Al Qaeda'. Next is 9/11, Declaring War on Terror and Proclaiming al Qaeda "The World's Greatest Terror Organization". 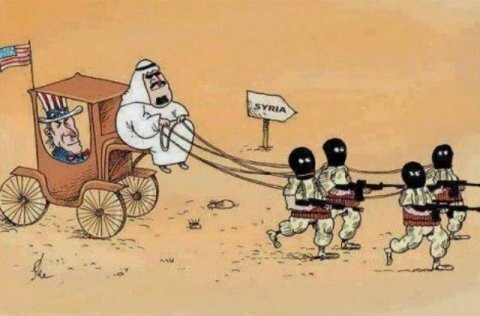 Latest rebrand al Qaeda to ISIS (in Iraq) and al Nusra, Free Syrian Army etc. in Syria. Wikispooks: "In an article in The Guardian the day after the 7 July 2005 London bombings, and four weeks before his untimely death, Robin Cook caused a stir by describing Al-Qaida as a product of Western intelligence and insisting that 'The Struggle on terror" could not be won by military means', 2005, The Guardian"
NB. The more blunt quote above is disputed (of course). But it may very well be accurate - as it states the truth. And as Cook was a man of integrity. Brzezinski corrobates this bragging that he and US President Carter created the Mujahideen to lure Soviet Union into war in Afghanistan. Robin Cook resigned from Blair's government over the decision to go to war in Iraq. 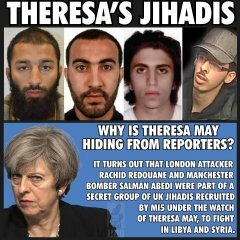 "Robin Cook [also] once observed that he never knew Downing Street make any decision that displeased BAE Systems"
A few more links on US/NATO, Saudi Arabia etc. create & work with ISIS, Al Nusra etc. - Many, many more links could be added. 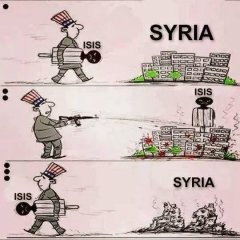 - the pro-Deep State (Daesh)." “Supreme excellence consists in breaking the enemy’s resistance without fighting. NATO's Secret Armies: Operation Gladio, 2004, D Ganser / Free pdf. 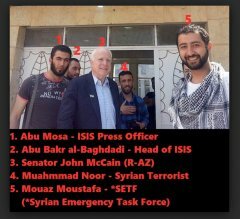 Aud._ISIS is US, 2015, Sibel E.
One Critical Q: Why do Bacevich list reports of US attacking ISIS, when he should instead say that the so-called targeting of ISIS is a cover up for US supporting and fighting with ISIS?